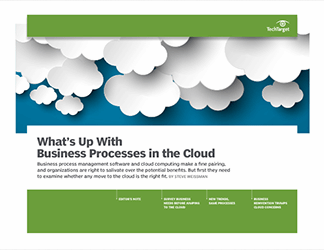 Running business process management software in the cloud enables a host of business advantages -- bonding application development and business process support in an integrated cloud model, for example. 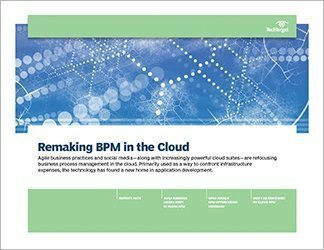 Using a cloud-based orchestration of applications and data in the cloud can bring dynamic process improvement with lower technology costs. It can also shine a spotlight on the lack of cohesion in an enterprise. 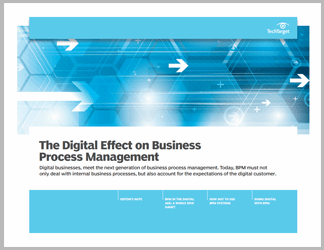 That's why industry expert Steve Weissman advocates a business-first approach to BPM in the cloud. 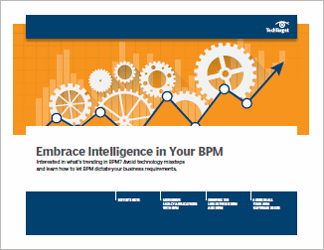 In this three-part guide, senior architects, CIOs and business leaders will benefit from advice on how to confront concerns and considerations with running cloud BPM software. 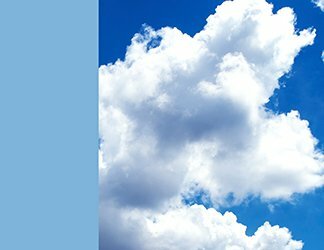 First, readers will learn about a criterion of cloud computing software selection not as well-known as security, architecture and performance. Next, Weissman takes an in-depth look at how mobile technology and cloud computing trends are affecting the deployment of cloud computing software -- specifically, the implementation of cloud-based Business Process as a Service capabilities and the difference between them and more traditional Software as a Service models. We close with look at strategies for business reinvention.